The Flat Iron Square project is an exciting piece of town planning and urban renewal. 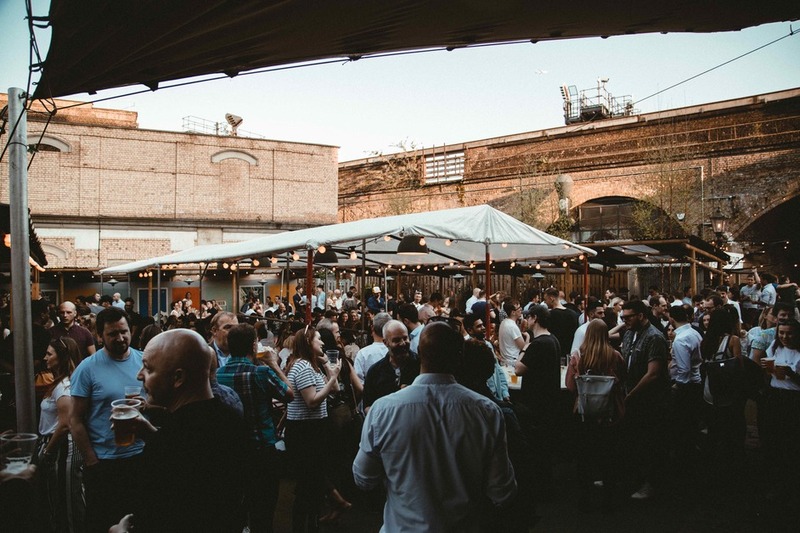 This Bankside development has eight pop-up kitchen units at its heart, with restaurant consultant Jon Spiteri - a founding partner at St John who helped relaunch Quo Vadis in 2012 - curating the different food offerings. The triangular space at the junction of Union Street and Southwark Bridge Road is made up of six railway arches, two are home to Bar Douro and Where The Pancakes Are. Linking Flat Iron Square to neighbouring railway arches is The Low Line - a London take on New York's High Line... but lower. Follow The Low Line and you'll reach Union Yard Arches, a new development by Network Rail and a hive of cultural activity. Here you'll find the Union Theatre, Spanish Theatre Company and Omeara, Ben Lovett's live music venue, as well as hip restaurants like Macellaio whose meat-filled window looks for all the world like a Damien Hirst art work. What are the best dining options near Flat Iron Square London? Flat Iron Square gyms, sporting activities, health & beauty and fitness. The best pubs near London Flat Iron Square. Flat Iron Square clubs, bars, cabaret nights, casinos and interesting nightlife. Where to have your meeting, conference, exhibition, private dining or training course near Flat Iron Square. From cheap budget places to stay to luxury 5 star hotels see our special offers for Flat Iron Square hotels, including CitizenM London Bankside from 71% off.